This program is designed for students ages 4 to 6. The goal of the program is to introduce students, at this young age, to the benefits of the martial arts. Students will work to develop and improve through the teaching of the basic karate techniques. Along with the physical development, a student should develop better concentration, focus and listening skills. The program will also teach children some basic street-smart techniques. When a student graduates from this program, they will enter the junior karate program as an advanced white belt, or white stripe. Our specially structured martial arts programs are designed to develop and strengthen qualities children need in today’s society. Qualities such as self-confidence and self-esteem are generally accepted as fundamental to the healthy emotional and mental development of children. 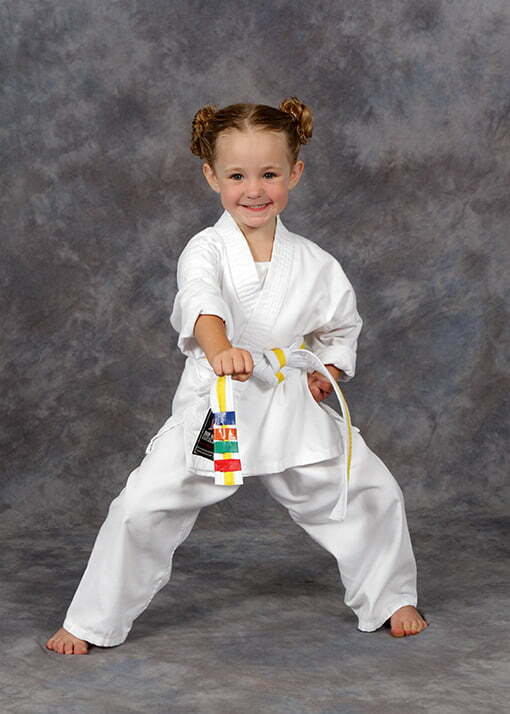 Our classes help your child develop physical skills, including coordination, balance, flexibility and self-defence. It is documented that these skills have a direct positive effect on a child’s self-esteem, mental development and academic performance. 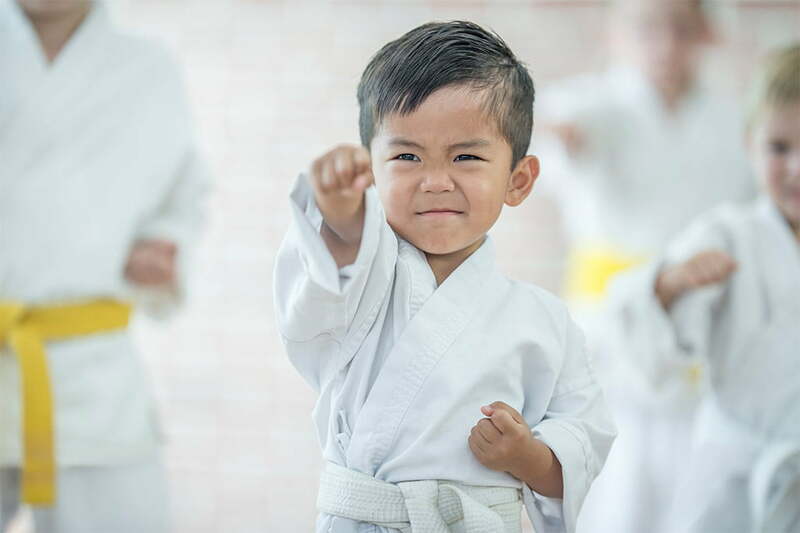 Studies show that parents perceive a large increase in self-confidence, self-worth or self-esteem as the most obvious benefit of karate training. Let our team of professional instructors motivate and educate your children through goal-oriented development programs. See Why They Love Our Karate Program! Receive a full week of unlimited karate classes, plus 2 sessions with our Program Director for only $19.95. Also included is a free anti-bullying workshop and a free karate uniform!